Last week, Sir Ben Ainslie, the most decorated sailor in Olympic history, “won” GSB’s designation as the Green-Sports Greenwash of the Year. Sir Ben, previously lauded for his and his team’s sterling commitment to clean oceans, “earned” the “award” when he named the English fracking company Ineos as his team’s title sponsor ahead of its 2021 America’s Cup campaign. Who was the first athlete to appear in the video? Sir Ben Ainslie. While this may well be a case of the IOC and UN Climate Change not knowing about the Ainslie-Ineos partnership — or at least about Ineos and fracking — it’s also not the best way to kickoff Sports for Climate Action. Sports played a role at the recently concluded UN Climate Change Conference (COP24) in Katowice, Poland. UN Climate Change, working with various sectors of the sports world, announced the Sports for Climate Action Framework. Achieve a clear trajectory for the global sports community to combat climate change in ways that help meet the greenhouse gas emissions reductions goals of the 2015 Paris Climate Agreement. Use sports as a unifying tool to drive climate awareness and action among global citizens. Which athlete did the producers pick to lead off the video? 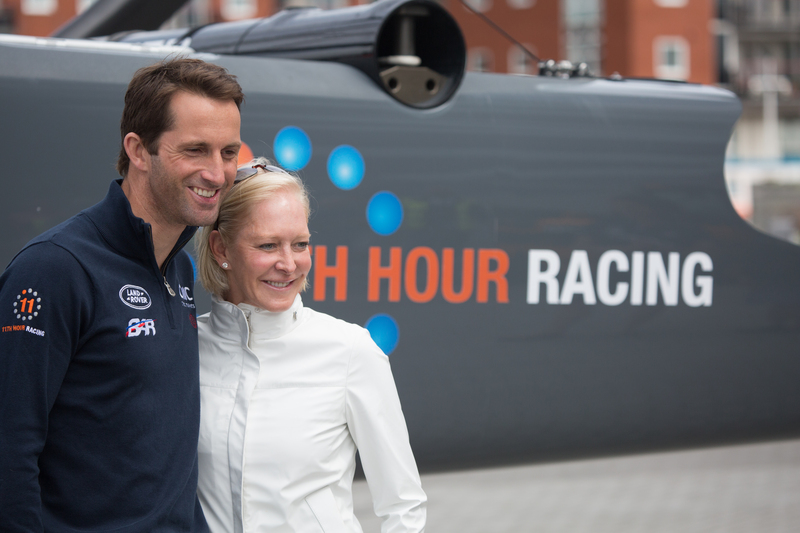 None other than Sir Ben Ainslie, GSB’s Green-Sports Greenwasher of the Year. Absent the greenwash, Sir Ben was a sensible choice for that prime spot based on his commitment to sustainability and his global popularity. He promoted ocean health and, to a lesser degree, the climate fight, during his Land Rover BAR team’s three-year quest to win the 2017 America’s Cup that ultimately fell short. What the powers-that-be at the IOC and UN Climate may not have been aware of is that Ainslie’s 2021 Cup campaign will cost as much as $40 million more than in 2017, when Land Rover BAR spent $135 million. And perhaps the folks at the IOC and UN Climate who were responsible for the video hadn’t heard that, when British fracking and chemical company, Ineos, offered Ainslie $153 million to fund the lion’s share of his 2021 Cup quest, Sir Ben took the money. If they did know that a fracking company is the lead funder of Sir Ben’s new Ineos Team UK, including him in the video, much less having him in the leadoff spot, would not have made sense. So GreenSportsBlog reached out to UN Climate and the IOC to find out what they knew about the Sir Ben-Ineos partnership and when they knew it. The IOC’s statement didn’t answer our question about what they knew about Ainslie’s partnership with a fracking company. Our assumption was — and is — that the IOC didn’t know about the Ainslie-Ineos deal when they asked Sir Ben to do the video. It was likely just an honest mistake. If that was the case, and our question was the first the IOC was hearing of Ainslie’s partnership with a fracking company, we simply wanted to know what they thought of it. And they didn’t answer. Why not? This shouldn’t be that difficult; it was a simple question. It gave the IOC the opportunity to explain. By not doing so, the IOC leaves the impression that they are okay with Sir Ben’s greenwash.